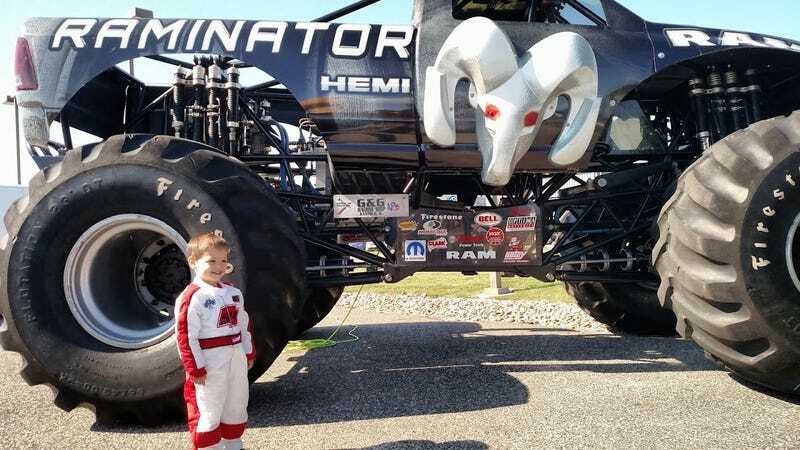 Just kidding, this was his Halloween costume and a local car dealer had a Raminator truck demo on Saturday. Free BBQ too! He got to meet the drivers and get his suit signed. Well played Kindle Auto Plaza.